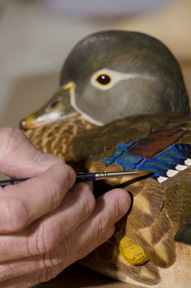 Sculpting since 1983, Pete brings an intimate knowledge of wildlife, their habitat and their interaction with mankind. Growing up around his grandparents' farms in rural southeastern North Carolina, he was rewarded with an awareness of the simple things of life. How a change in light can reveal color and form in everyday objects that so often go unnoticed, learning along the way that sometimes we must slow down in order to really see. 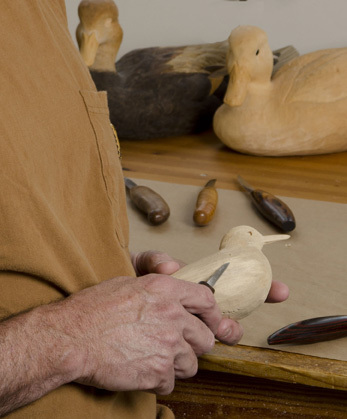 Working primarily in Tupelo or Basswood, he carves wildlife and man-made objects in a realistic style. Each component of a composition is carved entirely out of wood, then copper or brass sheets are hand-cut and shaped into flowers, leaves or grasses. He completes the process by applying multiple thin washes of acrylic paint to bring the piece to life. Each finished piece captures a moment of coexistence between beings. 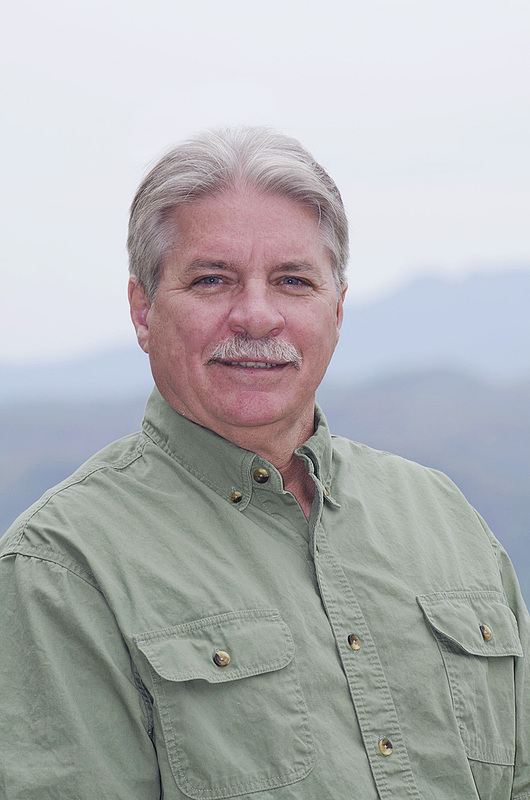 Pete and his wife Sheree were drawn to the foothills of the Blue Ridge Mountains because of the beauty that surrounds the area. Pete's home and studio overlook the scenic Yadkin Valley in Caldwell County, North Carolina. Each day greets him with views that are ever changing with the seasons. The squirrels, birds, deer, turkey and other wildlife share their home with Pete and his family. It is in this serene setting that art is created, inspiring his every carving and brush stroke.